The Green St. Bridge soon after it opened, before the middle arch was constructed. There are four stone arch bridges in Ipswich, and the Green Street bridge is one of the most beautiful. Twenty years after the building of the County Street Bridge, the construction began for the Green Street Bridge. The original structure was made of wood but was later replaced by an arched bridge of stone on May 14, 1894. 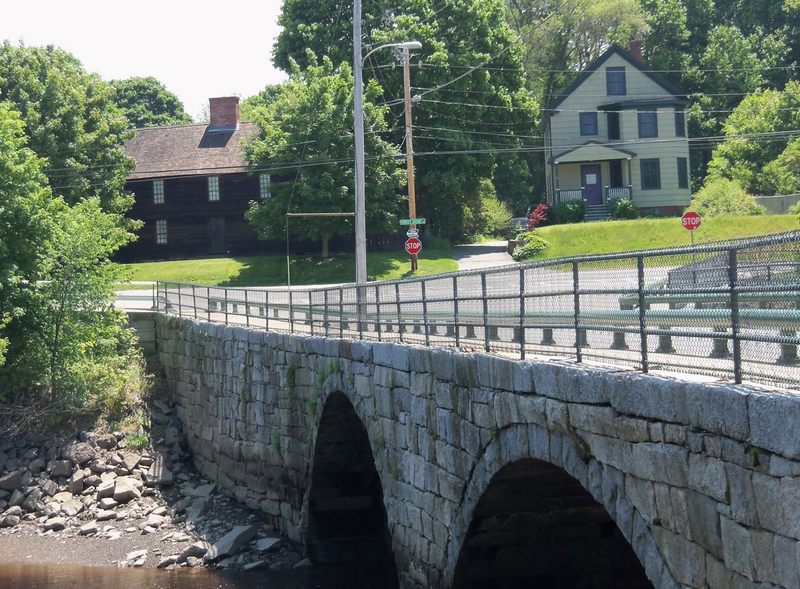 This bridge was the fifth bridge built on the Ipswich River in the Town of Ipswich during the growth of the mill and fishing industries in that community. 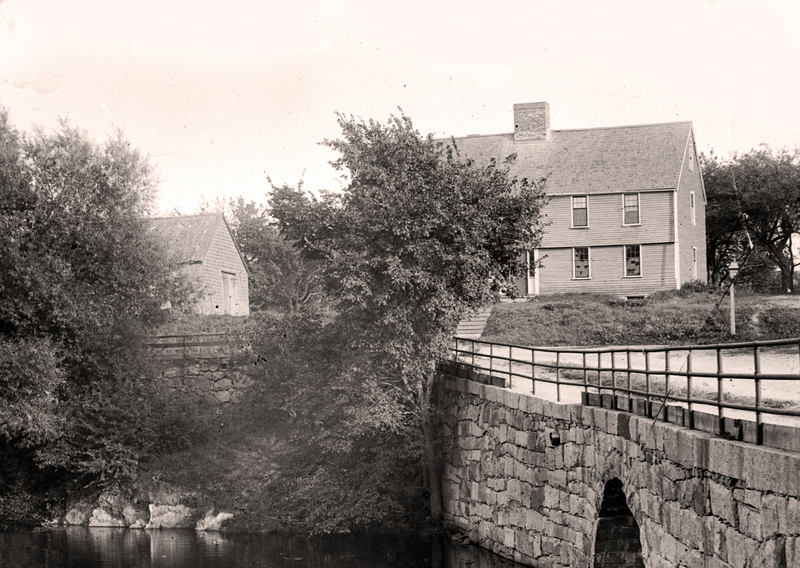 The need for a bridge at the Green Street location was recognized as early as 1719 when the residents of Turkey Shore on the southeast bank of the Ipswich River petitioned the town to allow them to build a bridge. 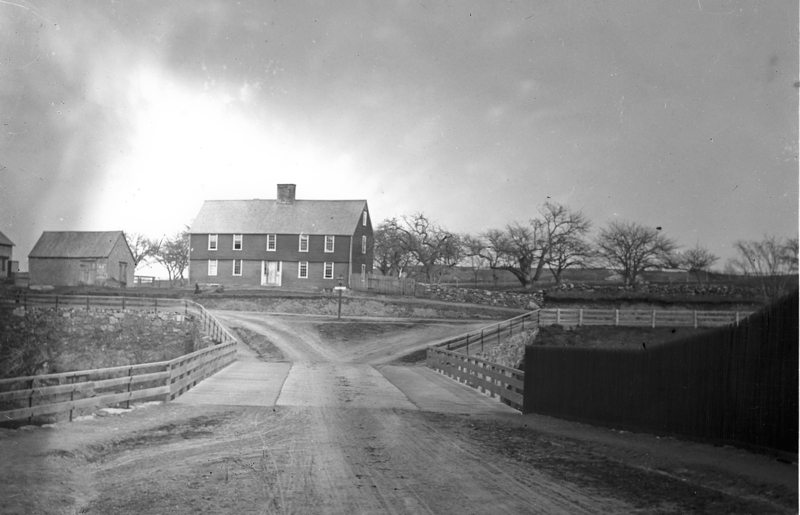 However no bridge is known to have been erected prior to the consideration of the Town Meeting of March, 1880 to extend Green Street to Turkey Shore Road. At the meeting of October 12,1881 the Town voted to build a wooden bridge over the River. The Town selected bridge designer Charles A. Putnam, C. E. (1828-1899), an engineer from Salem who drew plans for both the 1881 bridge (portions of which were incorporated in the later rebuilding) and the 1894 structure. The builder of the Green Street Bridge builder is said to have been Joseph Ross (1822-1903), an Ipswich contractor who constructed numerous railroad bridges and was noted for his horizontal folding drawbridge design patented in 1849. The Green Street Bridge is particularly significant for its use of traditional engineering design, notably similar to that of the nearby twin-arched historic Choate Bridge (1764, second-oldest in the U.S., widened 1838) over the Ipswich River at South Main Street. The other bridges are the Mill Road Bridge at Warner’s Mills (ca.1830), Willowdale Bridge at Manning’s Mill (1844-45) and the County Street Bridge (1861). The marked similarity of the Green Street Bridge to the Choate Bridge suggests that the aesthetic and functional success of that (then 130 year-old) bridge inspired its use as a prototype for the design of the much later, twin-arched Green Street Bridge. The initial planning in 1880 called for a wooden drawbridge on stone piers. This “Plan Showing Proposed Extension of Green Street, Ipswich Mass. 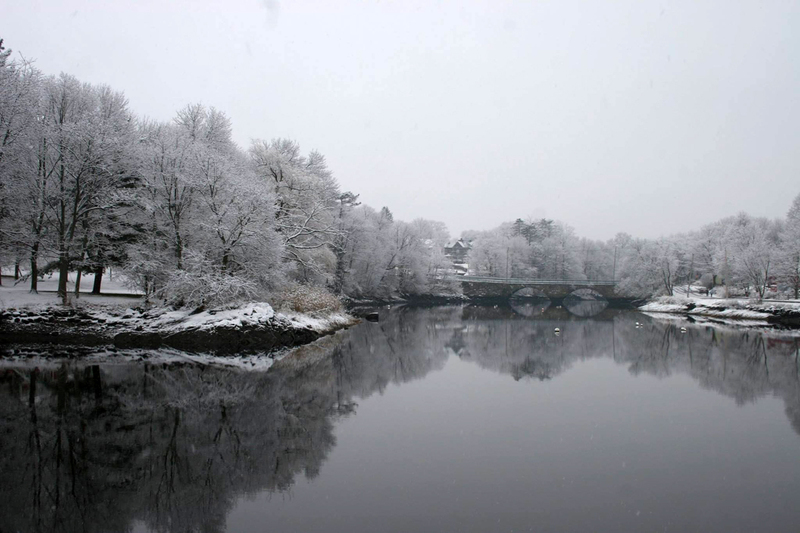 across Ipswich River” was drawn by C.A. Putnam, CE. of Salem on June 7, 1880, however his later drawings and photos show that the drawbridge was apparently not built. Plans for the 1894 Bridge are useful also for documenting the previous bridge of 1881. The drawing of 1894 , like the earlier 1880 drawing, is by C.A. Putnam, CE. and dated March 29,1894. The “Plan and Profile of Present Bridge “of the present shows stone piers and wood deck of earlier triple-span bridge. Alvin Langdon Coburn (1882-1966) was a friend of Arthur Wesley Dow, who owned the Howard House on Turkey Shore Road, and created the photogravure below, titled “The Bridge.” The photo shows tidal discoloration in the lower section, and how the bridge flares out at the end. The arches are the same size but appear different because of the photographer’s perspective. Photogravure by Alvin Langdon Coburn (1882-1966) titled “The Bridge”. 2012 photo by David “Stoney” Stone from the same orientation as the photo by Coburn. A photo I took of the Green Street bridge from Water Street. The brown first-period Howard house across Turkey Shore Road is where Arthur Wesley Dow lived and taught. Dale Harrington’s photo of the Green Street Bridge. Turkey Shore Road and Tansey Lane are on the left, and Water Street is on the right.